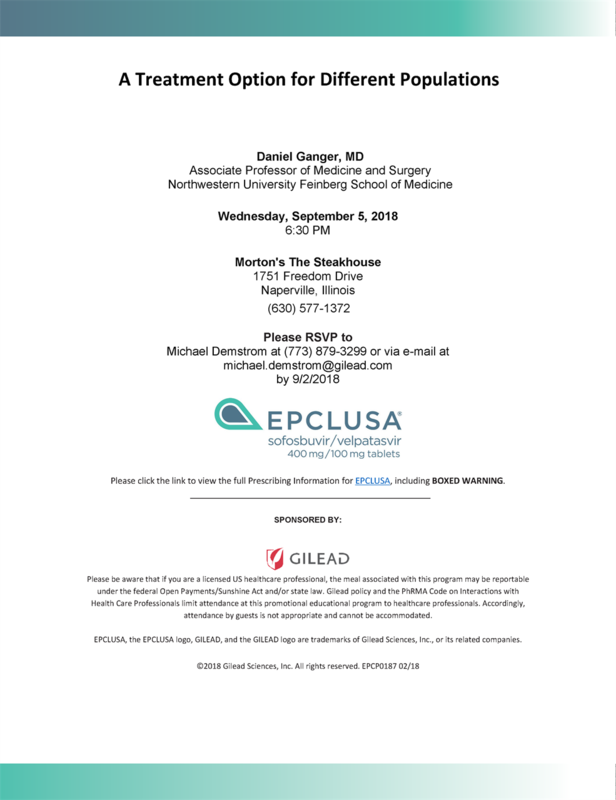 Registration can be completed with IAMA-IL or Gilead (Michael Demstrom). Please provide all requested information. Registration is limited to actively practicing physicians only, we apologize for any inconvenience. We look forward to seeing you on Sept. 5th.